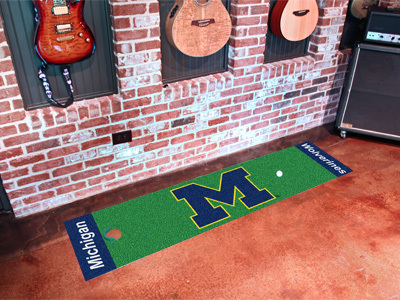 The Michigan Wolverines Putting Green Mat is a great way to practice your game and show your unwavering loyalty. The realistic putting green rates an 11 on the Stimpmeter and has a chromojet printed nylon surface with vinyl backing. Can be used as a runner when not practicing and comes with a plastic target and flag.